For many patients living with pain, a new laser therapy is providing relief and hope. MLS Laser Therapy has been called "revolutionary" and "amazing" by doctors and patients around the country for its rapid and effective treatment of pain. Now, this treatment is available in Richmond. 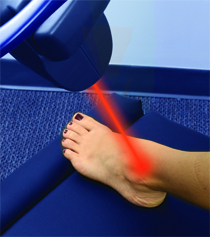 The Foot & Ankle Center is the first medical practice in the area to provide MLS Laser Therapy. Laser Therapy is the use of specific wavelengths of light to treat painful, sometimes debilitating, conditions. Light energy enters the damaged cells and stimulates inter-cellular activity. This reduces pain in the area and speeds recovery of the damaged cells. Once the cells recover, the healing process is complete. Most people experience positive results in 1 to 3 treatments, with the average course of treatment being 6 to 10 sessions. Swelling is greatly reduced and there is a rapid relief of pain. Acute conditions usually subside quickly, typically within one series of treatments, while chronic conditions can be controlled with regular treatments. 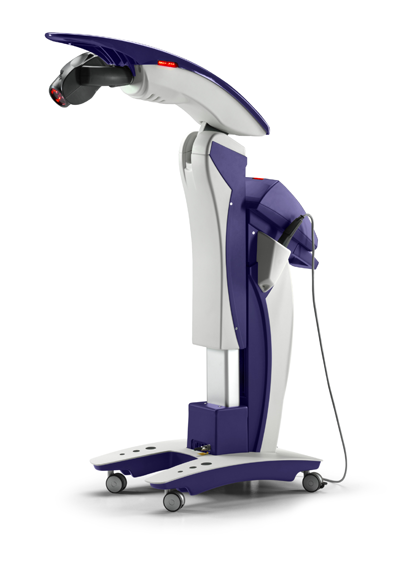 MLS Laser Therapy has been cleared by the FDA and proven successful as evidenced by extensive and credible studies conducted in our country’s finest institutions including Harvard University. If you or someone you care about is living with pain in your feet or ankles — even if you've tried other therapies that did not relieve your pain — please talk to us about MLS Laser Therapy. For many, the results have been nothing short of amazing.